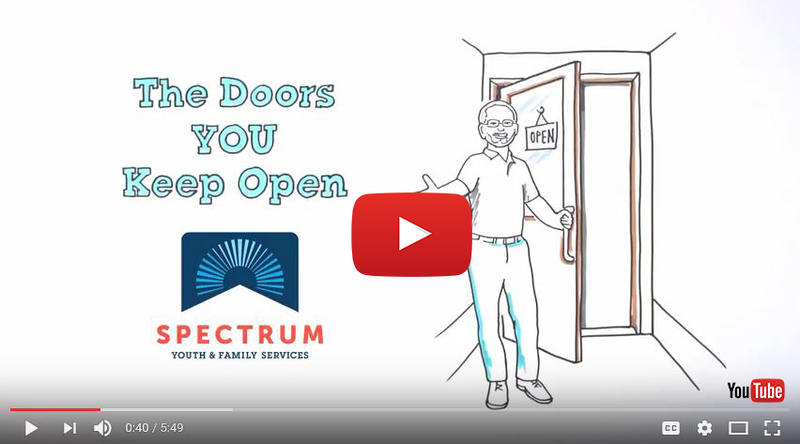 Spectrum offers several programs that help young people learn to navigate the challenges associated with transitioning to independent adulthood. These can include learning how to find a job, going to and paying for college, learning how to drive, or managing personal finances. This program works with youth ages 12-22 who are at risk of becoming involved with the justice system or foster care, are homeless, pregnant or parenting, or otherwise facing a crisis. Our team will work with the youth (and their families if available) to help them become more stable and gain access to supports and services that can help them get their lives on track. We typically meet with youth and their families more than once per week for about six months. Click here to download the referral form. Jess Mizzi, 802-864-7423 x203 or jmizzi@spectrumvt.org. This program offers case management services to about 200 youth ages 15-22, who are, or have been, in foster care or state custody through the Department for Children and Families in Chittenden, Franklin, and Grand Isle Counties. Our goal is to help these youth transition to a self-sufficient and thriving adulthood by working with them in eight areas of their lives: housing, employment, health and mental health, hard and soft skills, goal setting, assessing needs and strengths, and higher education. We also encourage youth to advocate for themselves and develop strong leadership skills. 186 Lake St, St. Albans, VT 05478. Khara Janssen, 802-864-7423 x221 or kjanssen@spectrumvt.org. The JOBS program is an innovative, intensive case management program for young adults ages 14-26, which promotes healthy transitions to independence using employment as the catalyst for progress. Through this program, we focus on supporting young adults with finding and keeping stable, competitive, fulfilling employment, while working to overcome barriers which jeopardize successfully transitioning into adulthood. We believe that a positive work experience is crucial in providing the confidence, increased self-esteem, and financial security necessary to make a successful transition into adulthood and independence. The JOBS program is a collaboration between Spectrum, HowardCenter, and VocRehab Vermont. 191 North Street, Burlington VT, 05401. Gina D’Ambrosio, 802-864-7423 x337 or gd’ambrosio@spectrumvt.org. For youth ages 14-24, our Drop-In Center offers classes on topics such as life skills, job readiness, parenting, or safe dating, along with help with applying for jobs or state benefits, or finding a place to live. For more information, stop by the Drop-In, email dropin@spectrumvt.org, or call 802-864-7423 x222. ImpactVT.org lists resources for youth all over Chittenden County along with articles on such topics as how to budget, get a license, renew a green card, get a birth certificate, etc.